What's great about so many Minecraft mods is that they often pair Minecraft with something else that is incredibly cool - and the jurassicraft mod carries on this incredible tradition. As the name of the mod might suggest, it adds dinosaurs to the game, and quite honestly what can you think of that's cooler than that? After crafting the flux capacitor, all you have to do is fit it to either a minecart or a pig, and get it up to a proper speed. Obviously, it is far easier to do this with a minecart, but the pig can pose an exciting challenge. After making use of your time travelling minecart or pig, you are transported to the land of the dinosaurs. This new world adds three new biomes that are unique to it: Jurassic Open, Redwood Forest, and Rainforest. There are different kinds of dinosaurs in each of the biomes, ensuring that the player is constantly finding new dinosaurs to see and ultimately kill. Of course, an ancient history mod wouldn’t be complete without some sort of ancient historical weapon, and the jurassicraft mod for Minecraft does not disappoint. Whenever you kill a dinosaur (which is about all you can do with them), they can drop bones and teeth. By crafting together one bone and one tooth, you can create spears, which can be used as melee or thrown weapons to kill even more dinosaurs. Like so many mods in Minecraft, JurassiCraft is a work in progress, and the mod creator still hopes to add even more features such as a volcano biome, eggs, nests, and a new way to travel back in time – the flux boat. 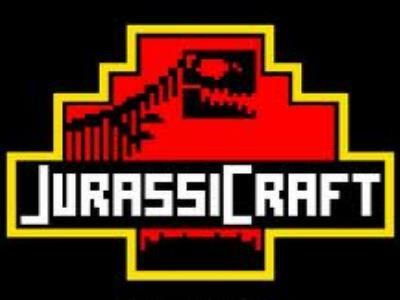 Whatever he ends up adding, though, the core of this mod – dinosaurs in Minecraft, will more than likely remain awesome.